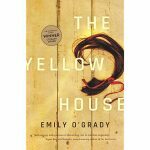 The Yellow House by Emily O’Grady – 2018 winner. Ten year old Cub lives with her family on a remote property bordering an abandoned cattle farm and knackery. Their lives are governed by the past actions of her Grandfather Les in his yellow house over the fence. Les’s sinister notoriety has grown in Cub’s lifetime, and despite Les’s death twelve years ago, the family is ostracised by the local community. When Cub’s estranged aunt and cousin move in to the yellow house, deeply buried family secrets begin to rise to the surface, and Cub, who has been sheltered from her grandfather’s past, must now come to terms with her family’s dark history. “The Yellow House is a powerful novel about loyalty and betrayal; about the legacies of violence and the possibilities of redemption.” – Allen and Unwin. The Lost Pages by Marija Peričić – 2017 winner. In 1908, Max Brod is rising up in Pragues’ literary scene. Everything he has ever wanted now seems to be within his grasp. But when a rival enters his world, Max discovers how quickly he can fade into the background. He knows Franz Kafka has the talent to upstage him, and Max must decide on the lengths he is willing to go to keep his success. 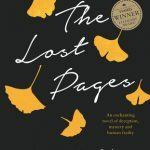 The Lost Pages is a gripping novel exploring the nature of fraud, friendship and betrayal within a fascinating literary rivalry. 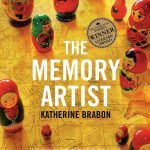 The Memory Artist by Katherine Brabon – 2016 winner. Pasha Ivanov was born during Brezhnev’s oppressive reign of the Soviet Union, a time labelled ‘The Freeze.’ As a young child, Pasha watches as, night after night, his parents and their friends try to preserve the memory of stalinist violence, and to expose the ongoing violence against rebels. Now twenty-four, Pasha is living a lonely life in St Petersburg, until a late night phone call summons him to Moscow and his memories. The Memory Artist is a rich novel of interlinking layers examining the power and importance of art to our humanity, and the disastrous impact of suppressed memories on a nations spirit. 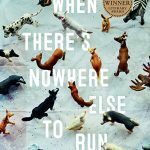 When There’s Nowhere Else to Run by Murray Middleton – 2015 winner. “Masterfully controlled, lingers long in the memory.” – Rohan Wilson, author of The Roving Party and To Name Those Lost. This is a brilliant collection of short stories about people who find their lives coming to pieces. Teachers, nurses, lawyers, chefs, firemen, alcoholics, widowers, romantics – from the Wheatland of NSW to Victoria’s coastline, all are seeking refuge from their transgressions, even as they discover that no matter how far they travel, sometimes there is simply nowhere else to run.